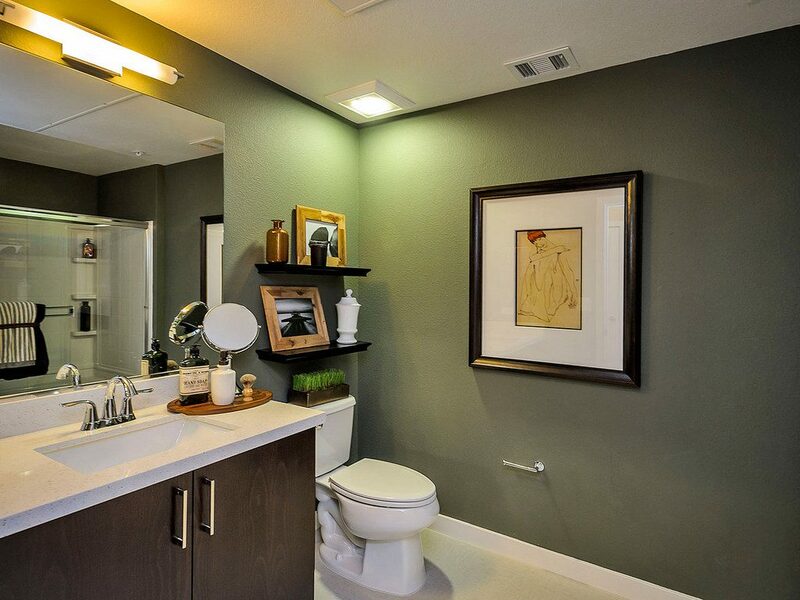 If you’re like most residents of apartments in San Francisco, you enjoy coming home to a serene, well-kept home that provides a personal sanctuary — and this includes the bathroom. After all, it’s usually the first place you see in the morning after waking up and the last you see before going to sleep at night. Following are just five of the many ways that you can decorate your bathroom to give it a finished, polished ambiance. All-white bathrooms are reminiscent of high-end hotels and spas, and you can replicate this atmosphere by stocking up on plenty of thick white towels, bathmats, and accessories such as soap dispensers and wall decor. Consider adding a peace lily in a white pot — these plants feature elegant white flowers and glossy, dark-green leaves. They are known to have air purifying properties and thrive in locations that don’t get a great deal of sunlight. Casual beachy styles are another good look for Bay Area bathrooms. Choose accessories made from beach glass, nautically inspired prints, and soap dishes in the shape of seashells to capture a maritime ambiance. Towels, washcloths, bath mats and shower curtains featuring blue-and-white vertical stripes convey a seashore theme. If you’re a girly-girl, let your bathroom decor reflect your true colors — pink, pastels and more pink. Think flowered shower curtains and bathmats, floral prints on the walls, and soap dishes and dispensers festooned with images of spring and summer blooms. Country casual is a good look for any bathroom and provides a sense of ease and comfort. Wall decor depicting peaceful pastoral scenes, shower curtains, mats, towels and washcloths in gingham or calico designs, and nature-inspired patterns on accessories such as soap dispensers combine to create a pulled-together country casual look that immediately transports you to a lovely old farmhouse surrounded by orchards and green fields. Shabby chic is a charming hybrid of girly and country casual — think upscale flea market style. This might be the most fun way to decorate a bathroom because it always seems to be a work in progress. For instance, those who go this route often come across quirky accessories or artwork that would be ideal in their bathroom. At 888 San Mateo, we’ve got several floor plans available, from studios to two-bedrooms. Give us a call today to find out more about our lovely apartment community. It would be a classic statement to say that summer is the best time to kick back and enjoy a cold beer. But in reality, anytime is a great time to enjoy a top-flight craft brew. These are some top-rated IPAs we hope our 888 community members in San Mateo, California, enjoy. Brewing out of Paso Robles and Buellton, California, the Firestone brand has outpaced many established craft breweries in terms of high-quality IPAs. The niche beer maker leans to the higher end of quality and cost. But every drop of its ambrosia is worth it. With several beers topping Beer Advocate’s list of best California offerings, Firestone is pretty much a sure thing in terms of beer excellence. The prominent IPA that’s gained traction is called “Easy Jack.” The brew is considered a dry hopped IPA that earns its uniqueness from interesting hops imported from Europe, New Zealand and North America in an effort to deliver an aromatic punch. Pow! Based out of Escondido, California, Stone ranks among the dominant craft IPA breweries, possibly in the world. It exudes its power with high ABV offerings and assertive marketing. Consider drinking a beverage called “Ruination,” “Scorpion Bowl” or “Ripper.” Currently, Stone’s “Enjoy By IPA” ranks high on Beer Advocate’s list. The beer is said to go beyond the “big, citrusy, floral IPA” the famed brewery has been churning out. This American Double IPA has a 9.4 percent ABV, so you better take it easy when you enjoy. Although this Santa Rosa brewpub may not have the national acclaim of the above-mentioned legends, its “Pliny the Edge” craft tops Beer Advocate’s list of California IPAs. That’s a tall pint to pour by any estimation. But the Sonoma County microbrew notches a 10.25 percent ABV and scores 4.7 out of more than 3,000 ratings, according to Beer Advocate. The brewhouse also has a novice version with an 8 percent ABV that took the No. 3 spot. 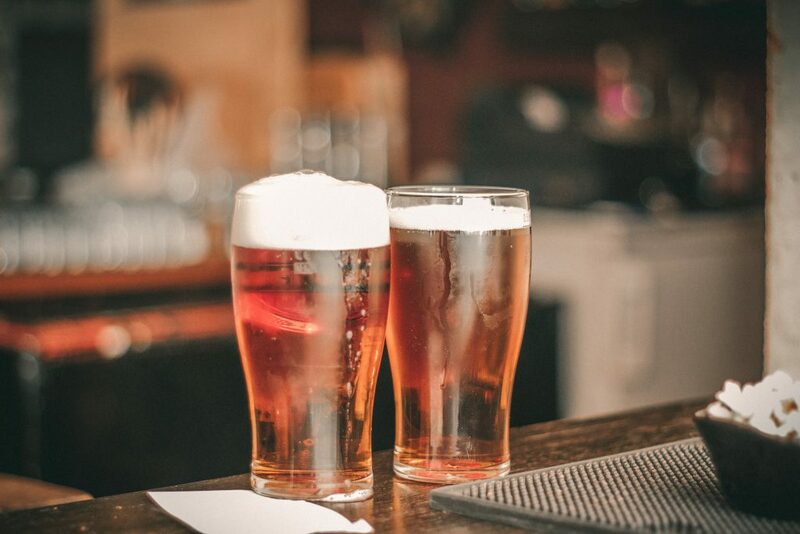 There’s a reason a beer gets popular…it’s good. This San Diego brewery and tasting room is another that might fly under the radar were it not for resources such as Beer Advocate and word of mouth. Recently the Société’s “The Thief” feral ale reportedly earned gold at the 2018 World Beer Cup, and its IPA offering called “The Pupil” is highly rated at Beer Advocate. With a 7.5 percent ABV, nearly 1,000 fans rated it a 4.4. High praise to say the least. We hope our 888 community members drink responsibly and enjoy these top California IPAs. If you or a friend would like more information about our San Mateo apartments, call us today. 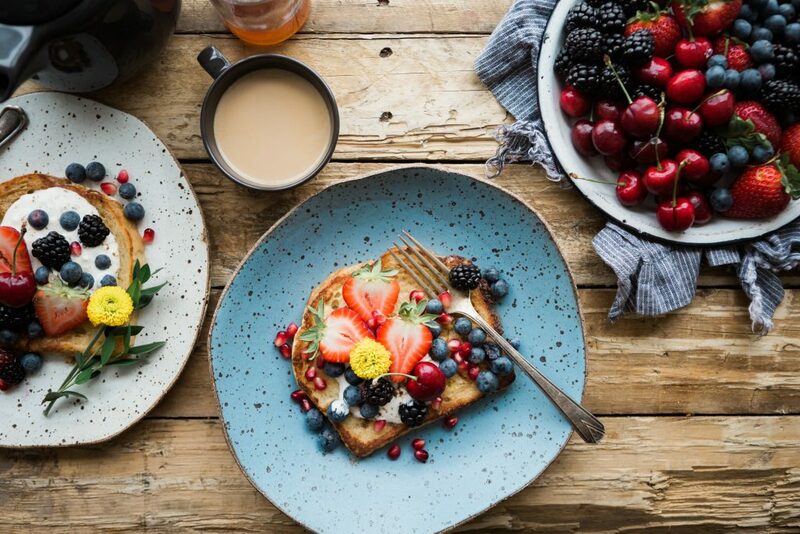 Brunch–the king of all meals! During the weekend, you don’t have much on your plate and can relax to your maximum capacity. Brunch is the decadent breakfast you serve later in the day. It affords you more time to enjoy those lazy weekend moments in pajamas. We’ve gathered for you five easy yet savory brunch recipes to make and enjoy this weekend! Do you want a really simple yet tasty meal that should be ready in 25 minutes? Nothing beats the taste and aroma of bacon butties made of white-sliced bread soaked in an egg mixture. Proceed to serve it with a dusting of icing sugar and a drizzle of syrup. It’s simply yummy! Get the full procedure at BBC good food. For a refreshing and fruity after-breakfast meal, you can never go wrong with lemon yogurt cake. Among the ingredients you’ll need are squeezed lemon juice, flour, baking powder, eggs, and yogurt. Serve this nutritious and delicious cake with your favorite hot drink. Food Network has the tutorial. For a scrumptious meal, blend eggs with butter, freshly ground black pepper and cheese. Plus, cheesy scrambled eggs are best when you’re too lazy to do much work. The preparation and cooking should take 8-12 minutes. It tastes best when served hot. Here is the full recipe tutorial. The name says it all, and the recipe works perfectly as it is. But a few upgrades and a couple of flavor add-ins will make your cream scones even tastier. As always, the secret to enjoying most recipes is to serve when still hot–and these cream scones are no exception. A fantastic and highly indulgent brunch recipe is that of Nutella pancakes, served with drizzling creamy chocolate sauce. While it’s optional, you can go an extra mile and add booze for a better treat. After that, go ahead and take a seat and treat yourself while still in pajamas. Olive Magazine has the entire recipe. As you relax in your apartment this weekend, why not try a few of these brunch recipes? If you’re looking for an apartment in San Mateo, 888 San Mateo Apartments have all your essential amenities. To view the floor plans, call (855) 805-6160. 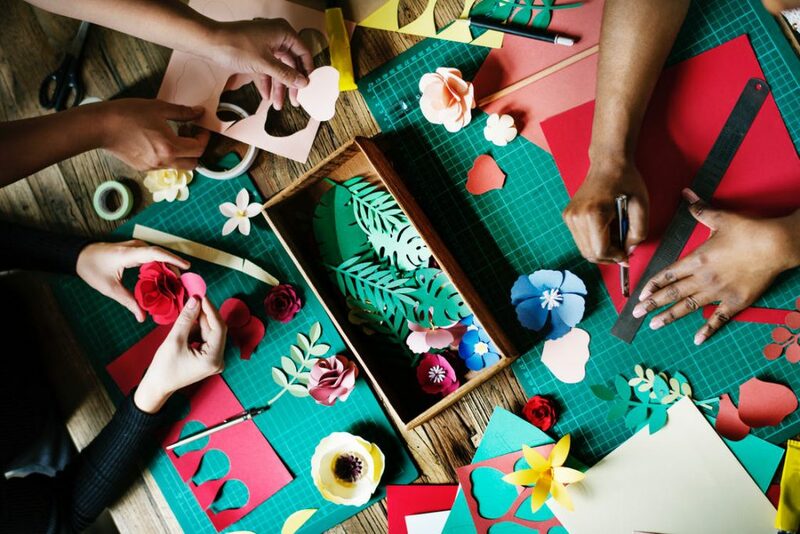 Spring is here, and everyone’s ready to say goodbye to dreary reminders of winter, and jumpstart the warmer season full of greens and blossoming colorful flowers. Spring is the perfect time to hit the reset button! 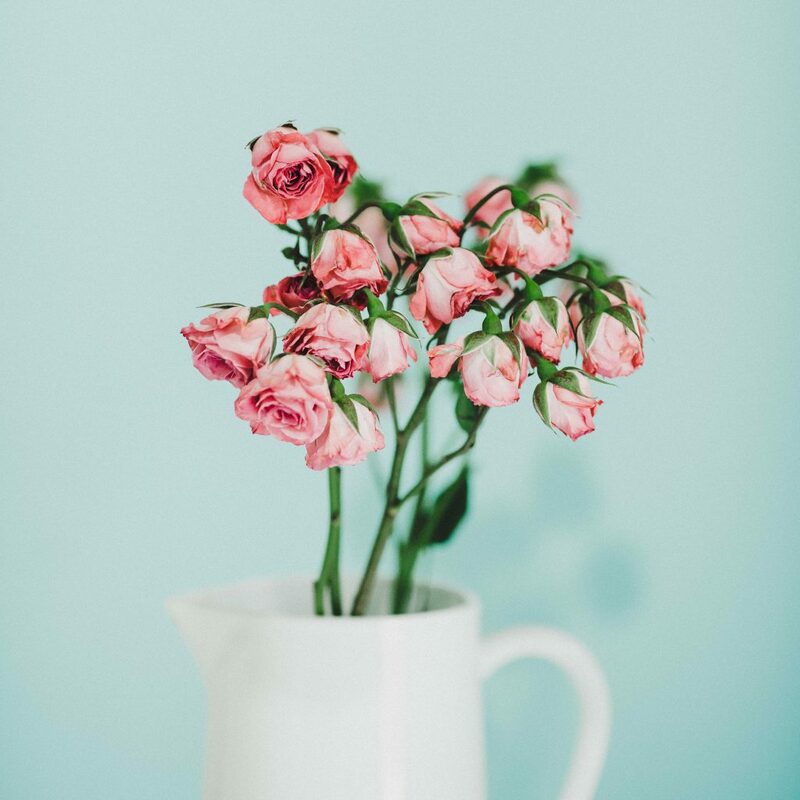 Borrow the following creative spring décor ideas to make your apartment in San Mateo even cozier and brighter. Mimic the colorful spring season in your kitchen or the living room with a topiary jar containing some lemons. Better yet, get two matching flower vases containing white and yellow tulips and place on either side of the jar, such that it sandwiches them. Maybe flowers aren’t your thing, or you’d like a perfect combination of flowers and natural plants for your décor. Unsure of your ability to care for a plant? There are pretty easy plants such as snake plant, jade, and aloe, that won’t take much of your time. Spring is a pleasing season for everyone. The temperature is moderate, and everywhere looks green with beautiful flowers marking the season. Anyone walking in the outdoors gets to enjoy the beauty of the colorful flowers and the adorable scents. Imitate the fresh springy scents inside your apartment. Go the natural way and cut open some sweet smelling fruits like citrus. Or you can buy some scented candles and essential oils and enjoy your time indoors. Contrary to what you may think, spring décor doesn’t have to be complicated and costly. Work with the little you have. For example, switch to a watercolor pillow, and you’ll see your couches transform and the living room looking brighter and lively. Got a bookshelf? Try painting at least two of its tiers with a bright color, and you can be sure it’ll make a difference. It’s a fast and simple way of refreshing your space, ready to welcome the colorful spring season. For this arrangement, you’ll need artificial blossoms to make your long-lasting spring carrot door hanger. Get some greens, four tulip bushes, green burlap ribbon, wires cutter, and wire. Find the tutorial from Home Stalk! Welcome the warm, cozy and colorful spring season with the above simple décor ideas for your apartment. And if you’re searching for a San Mateo apartment, choose 888 San Mateo. Call us at (855) 805-6160 to view available floor plans. 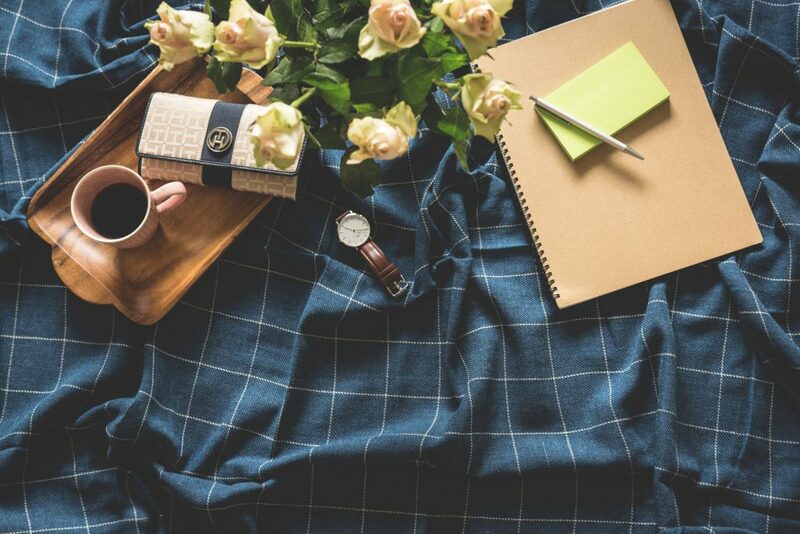 Hygge can be roughly translated to mean “coziness.” Ever wondered what to do to make living in your San Mateo apartment even more comfortable? Well, the secret lies in the activities you do every day. Ordinary everyday things that you do that create that feeling of genuine pleasure. It is easy to add hygge to your life. Learning hygge will not mean that you have to completely start redecorating for apartment. It does not mean that you will go out shopping for expensive things, neither does it imply you will have to learn a new skill. In fact, you already have what it takes to use hygge to create the most comfortable apartment! Here are ways to use hygge to create a comfortable home for yourself. Find a nice place in your apartment to relax and get cozy after work. You can choose a cozy corner in your sitting room or a corner of an oversized chair that you love. You need to stock up your home with unscented candles. Light the candles in order to add light and warmth to your relaxation area. These candles will help you to be in a good mood. The order in which you place the candles shouldn’t matter. All you need is warmth, and remember to blow them out after you have finished the session. Using a soft plush blanket is a necessity if you need to get hygge. You need to surround yourself in warm and cozy textures. Ensure you treat yourself to hot beverages, preferably from beautiful mugs. Make yourself your favorite beverage, be it cocoa, tea, hot mulled wine, or coffee and get cozy. You need to have some yummy comfort foods to spice up your session. Remember, this is you getting cozy without worrying about it. The hygge time is all about feeding and nourishing your soul! You have the option of going outside and spending time in nature to feed your soul. However, you can still bring the outside in. Add beautiful plants with amazing flowers to your home. Spending time with nature will help you add more hygge to your life. Sometimes all it takes is choosing the right San Francisco Peninsula apartment and furnishing them in the most comfortable way to always help you add that much-needed hygge to your life. Contact us today and enjoy living in a comfortable home. Spring is always a good time to stay at home and enjoy the fantastic weather. Having dinner with friends and loved ones is an incredible way of bonding and spending quality time. Do you want to try out something new and unique this spring? Do want to surprise your loved ones in San Mateo apartments with a spring dinner that they will love to remember? Then let’s jump into our exciting spring dinner recipe straight away. Are you hearing this term for the first time? Don’t worry, since it’s not something complicated. A Chickpea Shawarma sandwich simply refers to roasted meat sandwich. Surprised? That is what we are going to have for our dinner. The recipe is simple and straightforward, and it will only take you 30 minutes and simple ingredients to prepare. We will start by seasoning and roasting the chickpeas, and then make our sauce before we assemble our delicious sandwich. Heat your oven to 4000F and line a baking sheet with foil paper. Toss your dried and rinsed chickpeas in a mixing bowl with oil and other spices, and then spread it out on the baking sheet. Bake until its golden brown. Allow it to cool slightly before you sample and adjust your seasoning to your preference. 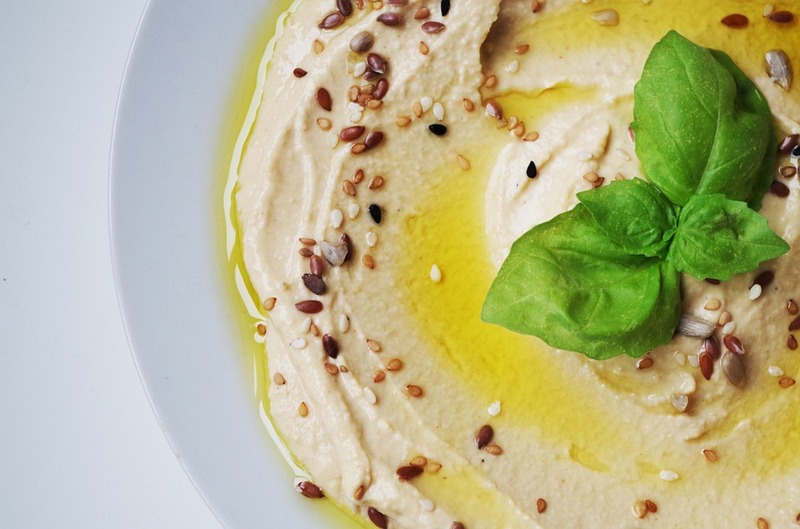 Prepare your sauce by adding lemon juice, hummus, garlic, and dill to a small mixing bowl and whisk to combine. You can do this while your chickpeas are roasting. Make sure you add sufficient almond milk or water to thin the mixture so that it’s easy to pour. You can now taste your stew and adjust the seasonings if need be. Add more salt for savoriness, garlic for more zing, dill for intense herb flavor, and lemon juice for freshness. To serve, warm your flatbread or pitas for about 30 seconds and top with your preferred amount of sauce, chickpeas, and vegetables. You can prepare the roasted sandwich in your San Mateo apartments anytime, and enjoy it together with your family and friends. Are you looking for an apartment in San Francisco? Contact us today to view the floor and site plans of our 888 San Mateo Apartments in San Mateo. When you could use some help keeping certain items in your home more organized, you don’t have to purchase all kinds of storage solutions. Simple wooden dowels, which are usually available in stores that sell arts and crafts or hardware, can provide you with an easy and inexpensive storage solution for your home. Keep these ideas in mind for putting wooden dowels to use when you want to get organized. If you need a bit of extra storage for hanging craft items, office supplies or other items, you can use a wooden dowel to make an under-shelf storage area. All you have to do is put two ceiling hooks or adhesive hooks under the shelf with enough space between them to hold the dowel in place. Once the dowel is set in place, you can hang items from it, making them easier to reach than keeping them hidden away in a drawer or storage bin. Kitchen drawers can easily become sources of clutter that make it hard to find what you’re looking for. You can keep items more organized with pegboard and wooden dowels. For this project, you’ll need to measure your kitchen drawers, then find pegboard that will fit inside them. Place wooden dowels in some of the pegboard holes to help hold items in place. For example, you can use the dowels to hold storage containers with small items, rolling pins, cookie cutters and many other kitchen items. The dowels keep these items from sliding around and making a mess inside the drawers. Storing craft supplies while still having them in easy reach and keeping them organized can be a challenge. Wooden dowels can provide a convenient way for you to organize your craft supplies and have them handy. For this project, you can purchase a countertop Lazy Susan, then drill holes in it to hold wooden dowels. Place spools or thread, ribbon and other crafting supplies on the dowels to keep them in order. The Lazy Susan rotates, which makes it easier to quickly get to the supplies you need. If you can’t find a Lazy Susan to purchase at your local craft store or hardware store, you can also drill holes in round pieces of wood, then place the wooden dowels in them. Our apartments in San Mateo, CA provide you with plenty of space for organizing your belongings using wooden dowels. Please contact us today to inquire about apartment availability and to learn more about our amenities. Cereal doesn’t just have to be for breakfast. When you’re craving your favorite cereal later in the day, consider making it part of your dessert after lunch or dinner. Use the following recipes to give you ideas for making delicious cereal desserts. This is a no-bake dessert recipe, so you don’t have to worry about preheating the oven and getting the baking time just right. Start by stirring a half cup of chunky peanut butter and two tablespoons of honey in a large bowl, then add two cups of your favorite wheat or rice flake cereal, along with a third cup of dried apples and an eighth teaspoon of apple pie spice. Stir these ingredients together, then put the bowl in the fridge for about one hour. Shape the mixture into balls, and you’ll have a tasty treat to enjoy after your meal. Instead of having a bowl of cereal with milk for breakfast, make a cereal milkshake to have after lunch or dinner. No matter what your favorite cereal is, you can use it for a milkshake just by adding a few other ingredients and mixing them up in a blender. For this recipe, you’ll need to put one cup of milk and two cups of vanilla or chocolate ice cream into a blender, and mix them until they create a smooth texture. Add the cereal to the blender, then mix until it’s creamy. Top off your milkshake with additional cereal and some whipped cream, chocolate syrup or cinnamon sugar. If your favorite cereal contains chocolate puffs or balls, you can use them to top off a freshly baked angel food cake. You’ll need angel food cake mix, four cups of powdered sugar, a quarter cup of hot water, one teaspoon of vanilla and one and one-third cups of cereal. Start by making the angel food cake as directed on the package. Combine the sugar, water and vanilla to make icing for the cake. When the cake is done baking, top it with the cereal for a divine dessert. 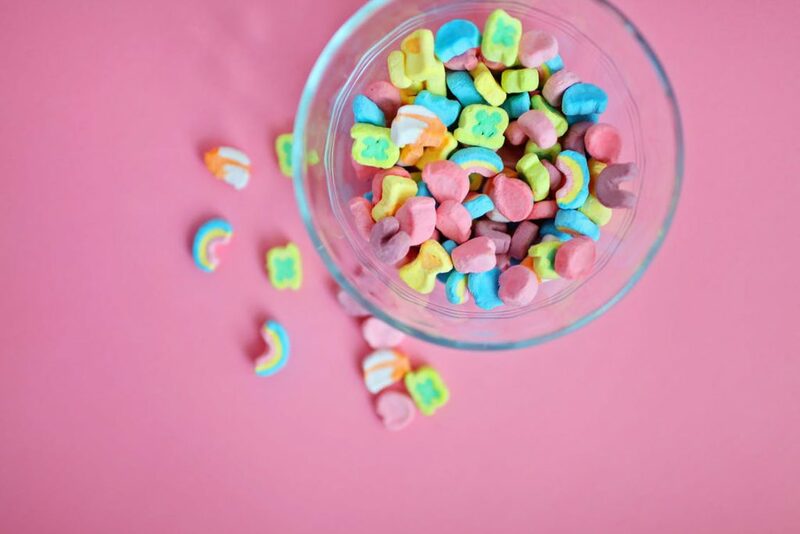 Keep in mind that you can also use fruit-flavored cereal as a topping if you prefer that instead of chocolate. Our community in San Mateo, CA includes a cafe with a gourmet coffee bar, which is a great place to unwind after having dinner and dessert at home. Please contact us to learn more about our apartments in San Mateo and our other community amenities. There’s a good reason the practice of yoga has been around for centuries. Those who practice yoga on a regular basis reap both physical and emotional benefits. If you live in the San Mateo, California area, you’ll find plenty of options to get started on your yoga journey. Here are the top four reasons to give yoga a shot. As you move your body into different positions to get into each yoga pose, you are stretching muscle fibers. By stretching these fibers, you’re allowing a wider range of movement within your muscles. As you continue to improve your body’s flexibility, you’ll reduce your risk of injury. Improving flexibility helps alleviate back and shoulder tightness to improve posture as well. Aerobic activity is not the only form of exercise used to improve heart health. Research from John Hopkins Medicine has shown that yoga can lower cholesterol, reduce blood sugar levels and lower blood pressure. Furthermore, studies have shown fewer episodes of atrial fibrillation in patients who practice yoga. Surprisingly, yoga is a great exercise for building strength and improving stamina. By simply using your own body weight, in lieu of barbells and dumbbells, you build muscle. Plus, you’re building muscle throughout your whole body since yoga includes all muscle groups. When you weight train, you’re isolating one muscle group at a time. Stamina improves because you’re required to hold a pose for a certain length of time throughout the workout. Each pose may be repeated over the course of the yoga session. One of the components of yoga is to nurture the mind and body connection. You need to have a calm mind to benefit from the physical aspects. Meditation is typically part of each yoga session. Stress is meant to melt away as you lie still and take deep, cleansing breaths. 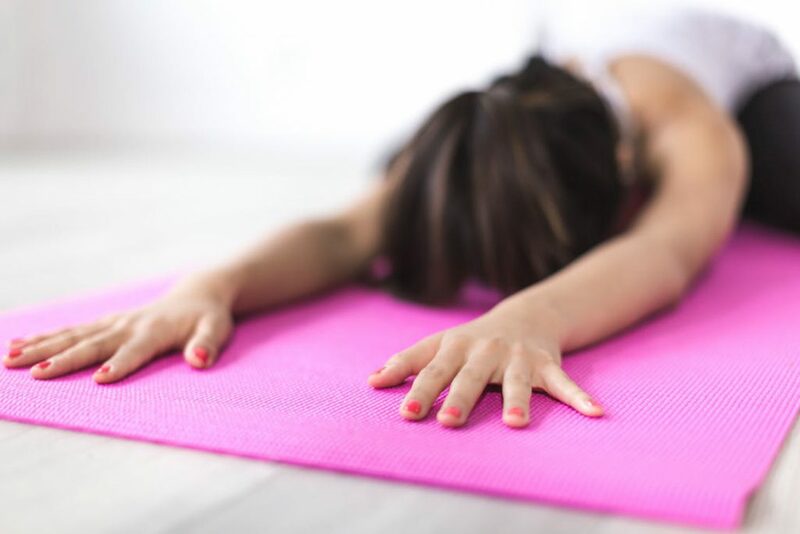 According to the American Council of Exercise, a study conducted on female yoga participants over a three-month period found that at the end of the three months, the women felt less anxiety, improved energy, less depression and a better sense of overall well-being. With stress levels reduced, you’ll have better sleep each night as well. 888 San Mateo is an idyllic residence for yoga beginners and fitness enthusiasts. Our San Mateo, California apartments are nearby several yoga studios and fitness centers. Call (855) 805-6160 to learn more about our modern and beautiful one- and two-bedroom residences. 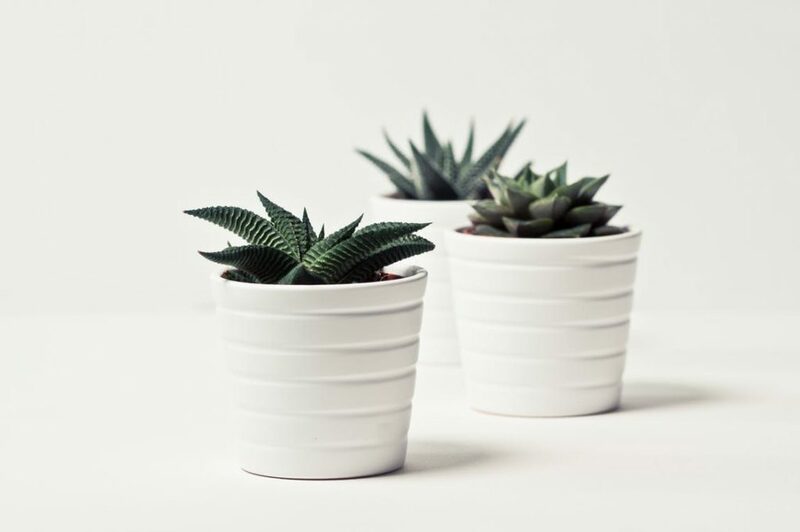 Indoor plants not only act as décor for your apartment, they can provide health benefits like improving air quality. The easiest-to-grow indoor plants will be durable and won’t require a lot of special upkeep. The San Mateo, California weather is also mild enough that if you do choose to eventually transport any of the plants outside to your deck or patio, they will continue to thrive. Here are a few low-maintenance indoor plants to grow inside your apartment. Growing a cactus in your apartment is perfect for those who don’t really have a green thumb. Cacti typically only require water once a week. Although cacti should be placed in sunny areas, direct sunlight isn’t required. In fact, direct sunlight may cause the cacti to have a faded appearance. Aloe is one of the easiest succulents to grow indoors. If you’re looking for a space-saving variety, select aloe vera. Ideally, choose a nice sunny area for the plant like next to a window. If you’re looking for a big, green plant for your space, choose a weeping fig tree. The tree remains small and looks good in room corners and entranceways. Weeping figs require watering approximately every five days and only need indirect sunlight. If you’re looking for a houseplant that tolerates low-light conditions, then the peace lily is the perfect plant for you. The plant is very attractive year-round with bright, green leaves and flowers that bloom in the summertime. The size of the lily will range between one to six feet tall. City gardens are all the rage these days. Many apartment dwellers are finding creative ways to grow fruits, veggies and herbs. You could start with a small window herb garden and expand from there. Herbs easy to grow inside an apartment include cilantro, basil, rosemary, ginger and parsley. Tomatoes of all varieties can be grown inside an apartment. The easiest method to grow tomatoes is to use a pot at least six inches or larger. Water daily and make sure the plant receives 12 hours of sunlight. Be surrounded by greenery both inside and outside when you come to our San Mateo apartments. Our gorgeous community offers resort-style amenities such as a heated swimming pool, outdoor kitchen area, modern fitness center, yoga studio and more, so you’ll have every convenience right at your fingertips. Call (855) 805-6160 to find out more about our luxurious residences.